Located adjacent to the museum, the National Guard Memorial Library is a repository of more than 6,000 volumes that tell the story of the National Guard. 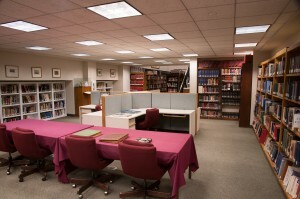 This comprehensive research facility contains historically significant documents dating back prior to the Civil War. Publications include annual Adjutant General Reports from each state, territory and the District of Columbia; past issues of NATIONAL GUARD magazine; division histories; and the minutes from the NGAUS annual conference. Like the museum, the library is open to the public and free of charge. Research appointments are available upon a request to the staff archivist or by contacting us at 202-789-0031.